Did it seem to you that retailers were waiting like runners at the starting block, to launch into Christmas as the final seconds of Halloween ticked by? I like to keep my holidays in order and love Thanksgiving specifically because of its low key appeal. No Thanksgiving night or Black Friday shopping for me, it’s all about family, food and football. I can’t complain too much this year though. 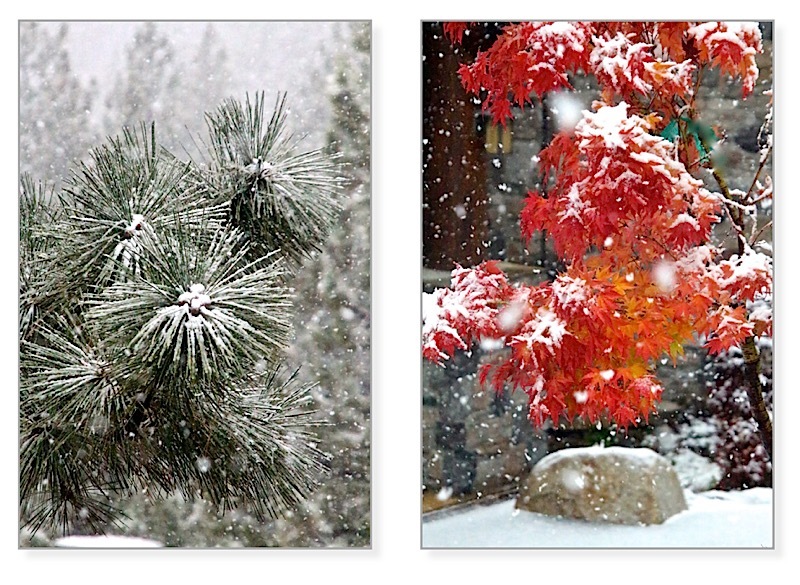 A little snow in Tahoe and I too was ready to leapfrog right into winter. I pulled out a few of our snow themed decorations and just couldn’t resist these wooden deer at Costco. That’s the problem with Costco, you go in for a few basics and come out with stuff you never knew you needed. Little did I know this guy would become a knitting tool. 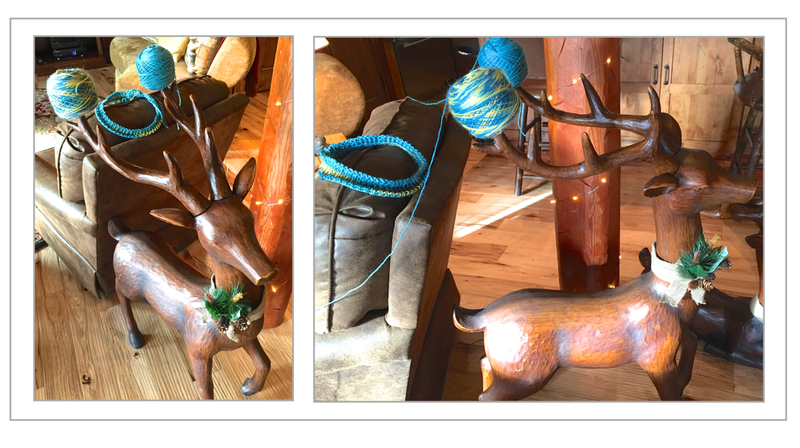 The deer sits right behind my knitting chair. It’s the perfect chair for knitting; it’s comfortable, it rocks and swivels so I can chat and knit. What started out as a joke ended being quite convenient. I’m working on a series of two-color, two-handed knitting projects. 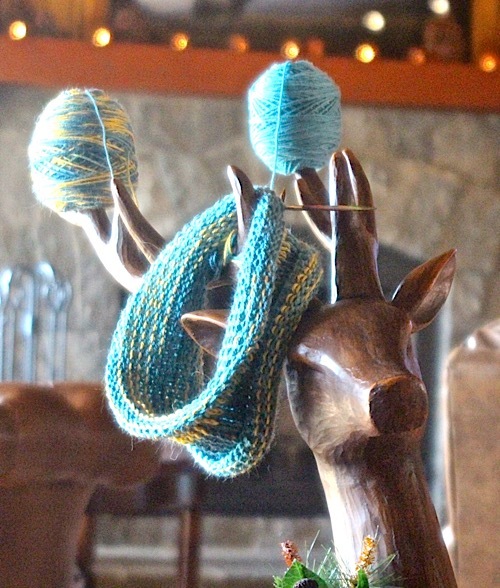 The deer’s antlers are perfect yarn holders. I put one center-pull yarn cake on each antler and ran the yarn over each shoulder. It makes it easy to pull the yarn and the this-is-so-ridiculous-factor made it fun. The antlers also make a great project holder for knitting down times. Doesn’t he look happy? Back to work, there are so many new Nuances and patterns coming your way this winter (see how I’ve skipped over the rest of the fall). Next up a new cast on and highly textured hat brim so stay tuned. 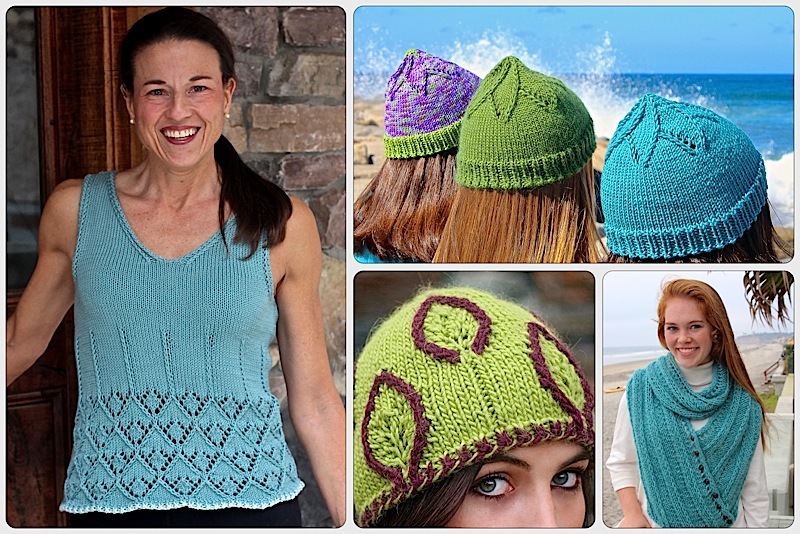 This entry was posted on November 10, 2015 by Laura Cunitz in General and tagged yarn holder.